I’m officially declaring 2016 as the year of the ruffle. You can’t deny the presence of frills and flounce this year – they were literally everywhere. On tees and sweaters, skirts and dresses, shoes, and even denim shorts. Like I said… everywhere. I for one loved this trend, and hope it continues in 2017. Ruffles are such flirty, feminine accents, adding volume, texture and a little bit of sass to each piece it adorns. 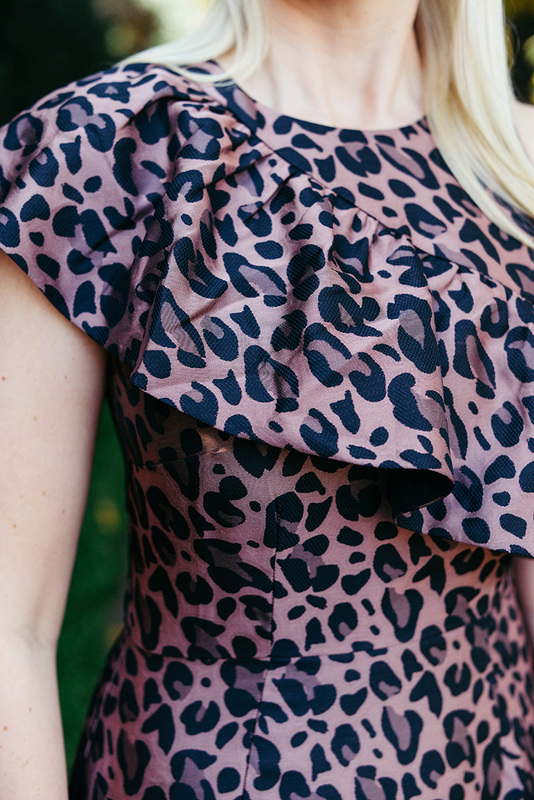 If you love ruffles like I do, I’ve rounded up 10 frilled favorites below for you to shop! Stripes, pearl buttons and ruffle sleeves make this Gucci sweater a super special piece. So dainty, but also fashion forward. Love it! I’ve gotten so much use out of my Victoria Beckham ruffle tee, I’m thinking about getting this more casual style with ruffled sleeves by Current/Elliott in white! Wouldn’t it be so adorable this spring/summer with jeans or shorts? This satin ruffle blouse is on sale for under $50 and in the prettiest peach shade for spring! Also love this style in the same color. Looking for a last-minute NYE number? This one-shoulder dress has got a touch of shine, and a flattering ruffle neckline. Just don’t forget the rush shipping to get it before Saturday! This sweater is under $90 and features the most elegant ruffled sleeves! Plus, winter white is always a timeless choice. Even though it feels like ages away, spring is right around the corner. Welcome warmer weather with this ruffle mini dress (on sale)! Ruffles and bell sleeves? Yes, and hell yes. This sweater has both. This raspberry ruffle Gucci coat is absolutely incredible. Talk about making a statement! This long-sleeve navy dress is under $50 and would look great for any occasion. This Lela Rose asymmetrical hem skirt is a lovely look for a work event, luncheon or cocktail party. The neutral color scheme makes it a surprisingly versatile piece. I love this dress! This was on my holiday dress wishlist. It is so gorgeous! Yes! I’m all about ruffles all the time! Wow – don’t you look amazing! This dress is drop-dead gorg on you! Love this dress! You look great. Love the ruffles! Such a great detail!